There’s something about the Christmas and New Years party season that I absolutely love. Apart from the glamorous parties, food, drink and festivities, I love dressing up for the party season and shopping for new outfits. I believe it's a time of year to make the most of dressing up in your finest outfits. 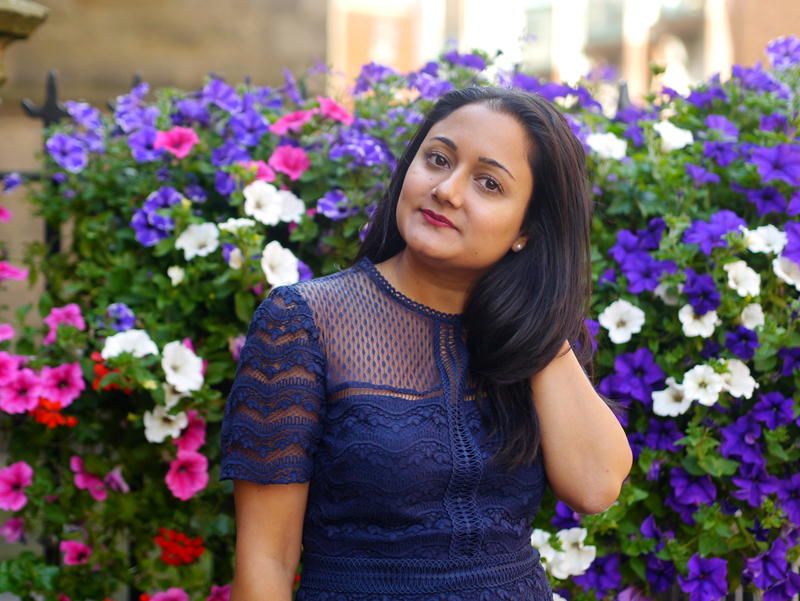 This year, one of my favourite outfits has been this gorgeous blue Whistles dress. It's so elegant and has a distinctive Self Portrait vibe, which is what attracted me to it. I also like that it's different to wearing festive colours such as red and green. Instead, the deep blue colour is perfect for evening events and the lace detail is so intricate and sophisticated. If you know me well, follow me on Instagram or read my blog regularly, you'll know that my style is very much classic and timeless. So this Whistles dress must come as no surprise, as it's very me! I always say to people that you should always stick to your signature look or style, as that's what will make you feel and look amazing. Finishing touches include make up and jewellery. For this party look, I opted for a classic red lipstick and pearl earrings. My gold clutch bag is my absolute favourite for parties, especially when you don't need a large bag getting in the way of dancing!